Dog Sense is an insured business. Training my Puppy, Liam, with Kim Robertson has been alot fun and a very educational experience. 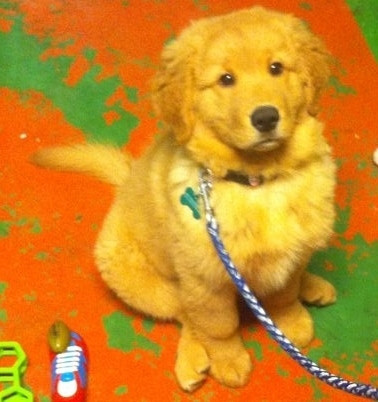 Liam and I started in Kinderpuppy and progressed through manners levels 1 and 2 and then on to dog training. We found that the inch-by-inch training had the largest and quickest results! Kim Robertson set us up to succeed from day one and cheerfully supported us every step of the way. She always gave us a review sheet of what we learned after each class and also included a handy training schedule to post on the fridge to help keep us focused on practicing each day of the week. She brought homemade dog treats (and recipes) to every class in case a dog needed a different reward for motivation than its owner brought in! Kim is as good at communicating with people as she is at helping you to train your dog. All I had to do was go the mile! Her years of experience as a veterinary technologist instilled my confidence in her. She integrated her observations of fearful dogs she handled in the vet's clinic and came up with techniques to help dog owners prevent (or at least reduce) the stress in these situations. I admire her for caring so much about dogs to do this for them and respect her values as a dog trainer and vet. tech. The Kinderpuppy class is held on Monday evenings at 7:00 pm for one hour. The puppies can come to class after their first vaccination and anytime after 8 weeks of age up until 4 months old. The class is 3 weeks long to help fit in to parents' busy schedules. The cost is $70. The puppies will have some play time together, which is important for socialization with other dogs. They play short games to learn important behaviours such as to come when called, to sit, and to not nip. We discuss puppy problems like potty training, crying in the crate, nipping, chasing the cat, bothering the older pet, jumping up, guarding, and scaring the children. Next Class starts Monday April 29th at 7 pm. 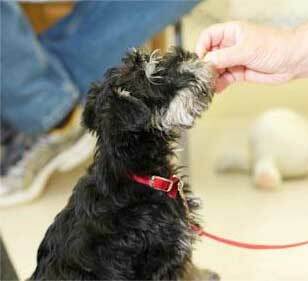 Being given a treat is a wonderful time in Puppy Class. Picture by Candra Shank Photography. Leashes are custom made, 1/2 inch-1 inch in width, 2 feet to 5 feet long. The Manner class is a one hour class Thursday evenings for 6 weeks. I have two time slots at 7pm and 8 pm. The cost is $140. This class will help you teach your dog the manners to be a safe, caring and cherished pet. Our class is, basically, a lot of fun. Yes, the dogs learn. But it is very enjoyable to teach and to watch the dogs learn. 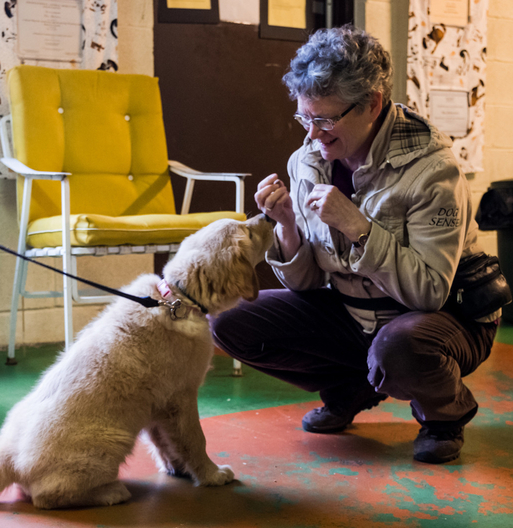 A quote from a former student “I had great fun, and learned a lot; the class has helped me and my puppy.” So, what will your dog learn in this class? Basics to start with: sit, down, come, walk nicely, don’t jump up, and settle to a mat. You will be teaching your dog through games and positive reinforcement. Register early to avoid disappointment. Classes kept to a small number for individual training and attention. Manner class is a prerequisite for the Intermediate Manner Class. This is the class to establish and to polish behaviours, so your dog is reliable and consistent. Loose leash walking….new games to get your dog's walking under control. Barrier work -how to create a fence where one doesn't exists. It could be the edge of your lawn at the road, or a line of trees between you and the neighbours. Recall -call your dog back to you. If your dog has recall, he can have freedom while you have peace of mind. For Fun we will teach the dog to know the difference between left and right. Touch left or touch right. Turn left or turn right. Shaping -a tool for training your dog and for stimulating the brain for brainwork. Improve your training by knowing the Three D’s of training. 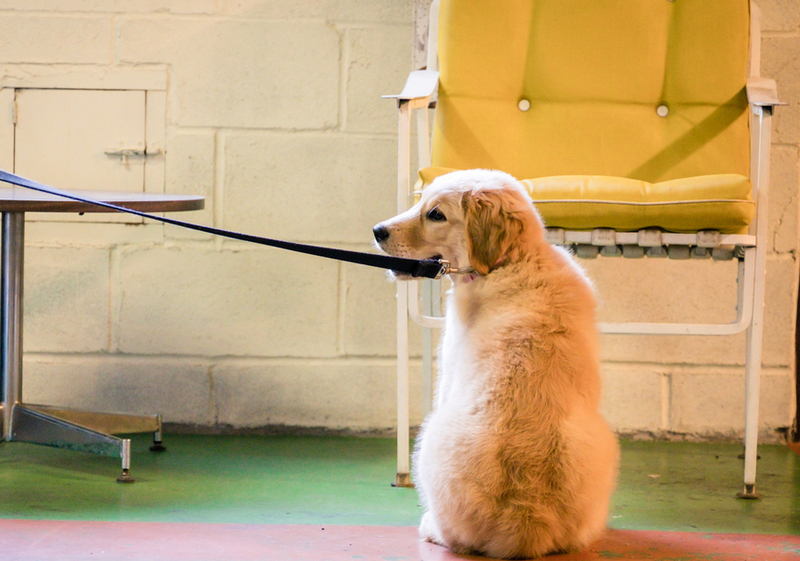 Honestly, we don't make puppies sit in the corner! Time scheduling tight? No time for classes? 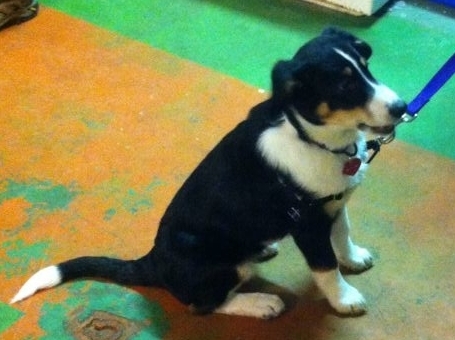 How can you get your dog trained? Call for private lessons and have a well trained dog. Private lessons work around your schedule. With one-on-one attention, I can cover a lot of material in each lesson. All lessons come with handouts for future reference. Help is available. If you have a concern or problem with your dog, help is here. I am an experienced trainer in positive reinforcement. 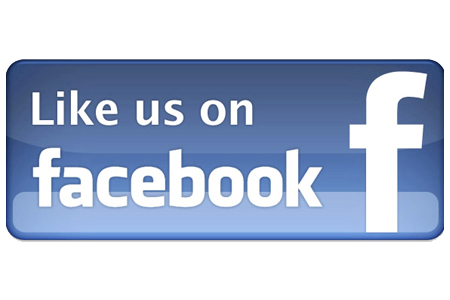 I will take a complete history of your dog and the behavior problems you are having. 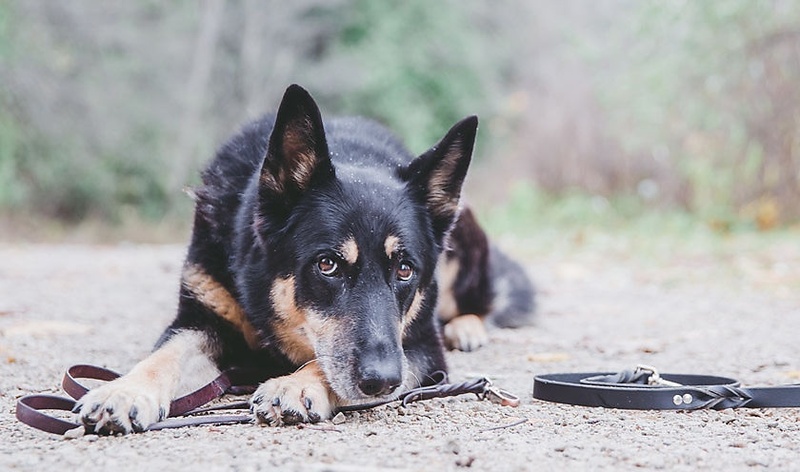 A program can be set up to help you work through your dog’s issues. There is help. Just ask. A More Thoughtful Approach To Shaping Creates More Precise Behaviors by Yvette Van Veen. January 2015 Introduction to Dog and Cat Behaviour, University of Guelph, 6 month Course by correspondence. October 19-20, 2014 Dogs Playing for Life by Aimee Sadler. 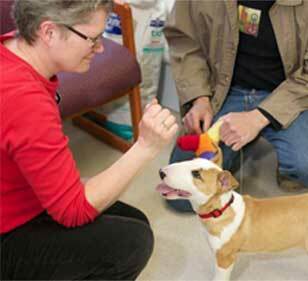 A training program for shelter dogs featuring play groups. March 2012 Clicker Expo, an educational conference on the science and application of clicker training. May 15-16, “Dog-Dog interactions: The Good, the Bad, and the Ugly.” A program in Professional Canine Education. Presented by Suzanne Hetts, Marc Bekoff, Dan Estep, and Nancy Williams. May 14, 2010, A Road Map for Analyzing and Resolving Training and Behavior Issues. Presented by Suzanne Hetts, and Gary Landsberg. April 18, 2010, ”Puppies...So Much to Know...So Little Time!” Presented by Dr. Jennifer Messer. April 18-19, 2009, “Does the Name Pavlov Ring a Bell?” Presented by Kathy Sdao. August 15, 2010, “What are Dogs Really Saying?” Presented by Dr. Patricia McConnell.